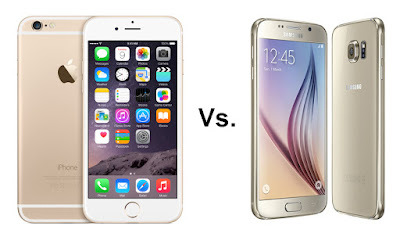 HOW DOES APPLE'S GOLD STANDARD STACK UP AGAINST OUR PHONE OF THE YEAR? LET'S FIND OUT! a new player in town. So have the tables turned? Let's have a phone shoot-out and see, starting with the screen. 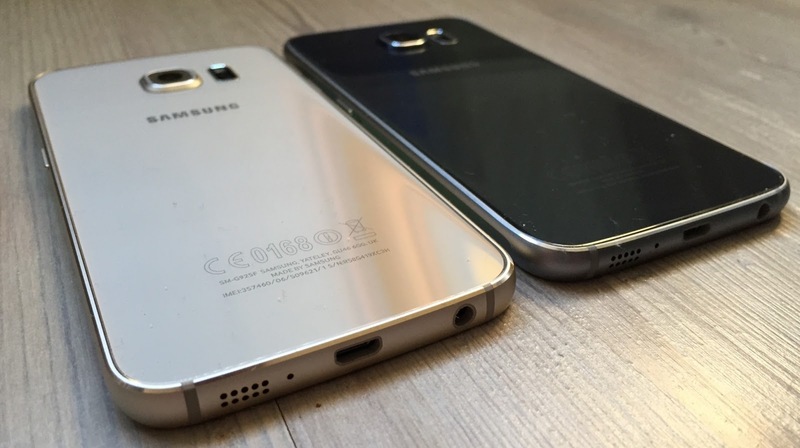 Samsung's Galaxy S6 Edge wins with a S.l-inch screen and a 2K resolution. It comes with S77 pixels per inch, and images are noticeably improved on Samsung's phone. Video is gorgeous to watch and once you've used one. you'lı realise how much that level of c1arity and colour really offers. time, it gets it right, but sometimes you end up being flag ge d stuff from fıve years ago. All in all, it looks much the same as iOS 8 and keeps all the same beautiful functionality you'd expect from Apple. making it look quite different to the stock Material Design, but it's much improved in the last few generations. There's a lot less bloatware on the Galaxy S6 than in recent years, so you can expect a c1eaner, fresher experience than on previous Samsungs. iOS 9 is the c1ear winner here, folks. The 6s boasts the fastest processor Apple has ever come up with for a phone, with the A9 chipset showing it's got more grunt than anything ever shoved under the hood of an iPhone. Inside is a new M9 coprocessor, enabling it to record more of your daily stumblings without chipping into the battery life too much. In terms of practical use, that new processor means the 6s can run a lot of apps at one e and still be incredibly snappy. on the iPhone 6, so you can expect a 'low power' message before bedtime. 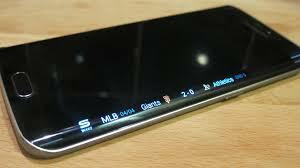 most powerful phone on the market. Taking Instagram-warthy snaps is arguably the most impartant thing for most people when they'te shopping for a new phone. 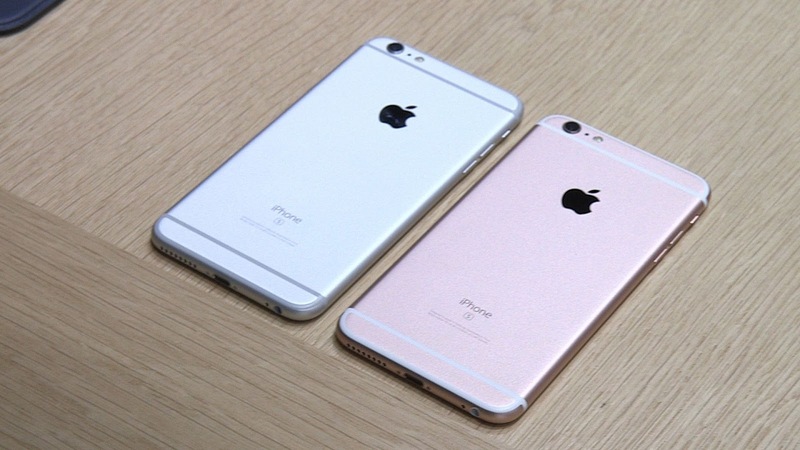 The 6s has seen a major improvement to its camera, making it a beautiful 12MP shooter. Resolution on images is much better, and there's the opportunity to shoot 4K video as well, making this an attractive package. off if you're worried about storage, but Apple's got the amount of space needed down to under two full-size photos. in the lens to keep your images locking bright and airy. It's even impressive at taking dark shots and in night mode. Both phones now feature a fıngerprint sensor. The 6s has TouchID, but it's so much faster than on the 6, with only the merest glide of a fıngertip needed. Samsung has improved its fıngerprint sensor, putting the one on the Galaxy SS to shame with its speed of unlocking. The 6s alsa impresses with its new screen technology, which can tell how hard you're pressing - 3D Touch means you can hold down a little harder on an app icon to get quick launch options, or when inside an app you can use the 'peek and pop' functionality, where you hold down to get a preview of the app, then push harder to get into the interface itself. 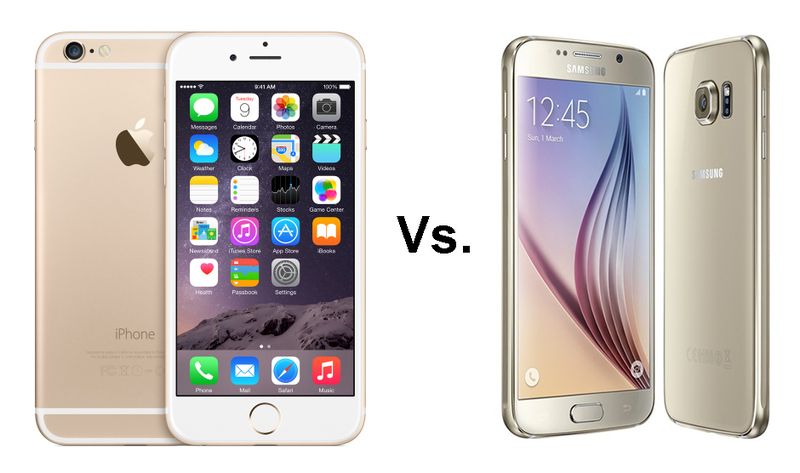 The iPhone 6s has to take the crown here. There are same simple ways to work out what's best for you ... if you're invested in the iOS universe, it might be worth going for the 6s. It can of ten be time-consuming to jump ship, and iOS 9 is turning into an ace smartphone platform. 3D Touch is a great addition and the little extras, such as Live Photos, are exciting. The Galaxy S6 Edge remains a fantastic phone with great features and incredible power, but if there's one phone that could perhaps tempt you over from the Android universe, it's the iPhone 6s.